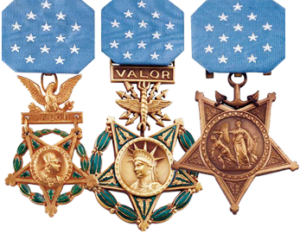 Indicates an award for valor. It is worn on decorations authorized for both acts of valor and other qualifications. It is not worn, for instance, on the Silver Star Medal which is only awarded for combat heroism. The Army Commendation Medal can be awarded for valor, service or achievement. 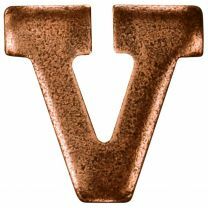 The "V" device does not denote a second award, but indicates the award was for combat heroism. Only one "V" device may be worn on any ribbon, but may be worn with Oak Leaf Clusters that indicate additional awards of the same medal.